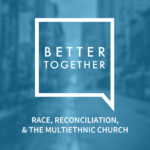 A unique and important conference on race, reconciliation, and the multiethnic church. Click to watch videos or download 1080p MP4 files via download button. Beyond Diversity & Toward Beloved Community | Dr. Charles Montgomery, Jr. 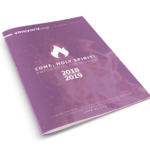 In this video, compiled from the Vineyard Global Conference in Columbus, OH in 2015, the Vineyard Movement's heart for reconciliation across ethnic communities is the focus. 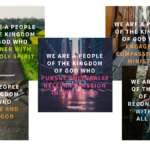 Included are moments of confession, forgiveness, and repentance, marking a fresh turn toward being a beautifully diverse movement that truly believes we are better together. In this session of Together, Leaning Outward, from our National Conference in 2017, Vineyard Pastor Geno Olison addresses the power of a community of Christ followers who are living out the Kingdom call to intentional, authentic, and loving racial diversity in the local church. This unique and important conference is focused on the topic of diversity, and the difficult conversations that surround it. A variety of pastors and leaders gathered to engage on the topics of racial reconciliation, planting multiethnic churches, and/or transitioning current less diverse churches into multiethnic ones.